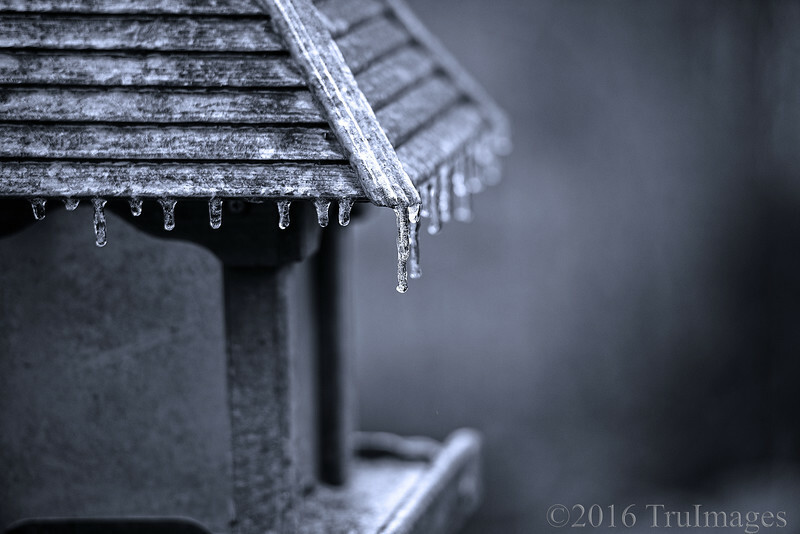 The bird feeder was closed Monday due to inclement weather! It has since reopened, as temps are expected to be near 70 this weekend. Gotta love riding the NC weather rollercoaster! I love how the icicles are glistening and sparkling in their "hanging" state! Good BW shot; like its tiny icicles!